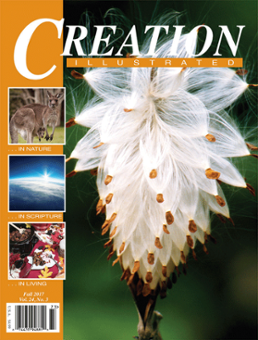 Creation Illustrated is a magazine that shares the wonders of God's creation. Tom and Jennifer Ish have been publishing this magazine since 1993 and they are now offering unit studies to go with their magazines. If you have never had the pleasure of reading a copy of Creation Illustrated you are missing out. These publications are beautiful. Tom and Jennifer do a wonderful job in publishing their magazine. They are full of beautiful color photos with articles that teach things God has made. Each issue is divided into 3 sections that shows Creation Illustrated...In Nature...In Scripture...In Living which is a balance of mental, spiritual, and physical enrichment. An Instructional Guide included can be used for homeschool lessons and there are also coloring pages, recipes, and contests for homeschool students. Creation Illustrated is a nonprofit, non-denominationally owned ministry that shares biblical truth and character-building lessons. The Crew was given two of the eight Unit Studies that are available. 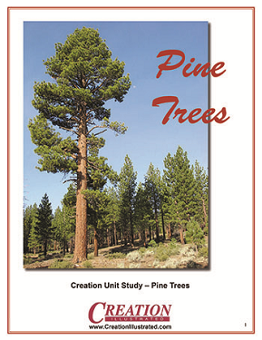 We received the pdf unit study on Snow and Pine Trees. They are both recommended for students in grades 3-8 and includes science, math, reading, bible study, geography, art, vocabulary & spelling as well as puzzles and other fun activities. At the beginning of each unit study are links for the reading and educational resources and video links for each topic. 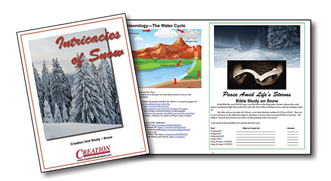 This includes a link to the free digital issue of Creation Illustrated that goes with the Study Guide and an answer key. 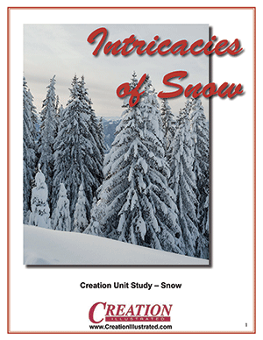 The Unit Study - Snow is a 17 page study. This is used with "Intricacy of Snow" in Creation Illustrated Winter 2018. The resources page of the unit study indicates this and includes a link to the free issue as well as the page numbers you will be using. The other educational links take us to web pages that talk about facts about snow, animal and cold. The video links talk about what makes snow and where snowflakes come from as well as how they form and more information. Vocabulary and spelling words are taken directly from the magazine article. There is a bible study and spiritual lesson all about snow. The science lesson contains 10 questions about where snow comes from, what animals like the cold and snow, and why snow is white. An activity includes making snow looking crystals, and how igloos are made. A page of seven snow related story problems incorporate math skills into the study. And Geography is covered by looking at snowfall around the world. 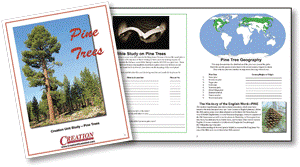 The Unit Study - Pine Trees This 16 page unit study is set up the same way as the Snow one but it talks about pine trees. 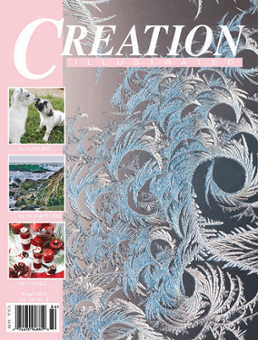 It uses the "Enduring Pine Tree" article in Creation Illustrated Fall 2017 issue. We haven't started this study yet, but I looked through it and it talks about the Fibonacci number series which we have just been talking about in our school. We have had more snow this winter than we have had for years so Alaina decided she wanted to use the Unit Study on Snow first and to our surprise, we got another 4 1/2 inches of snow on Easter Sunday. We both really like these studies. They are a great break from regular school, but they don't take up a huge chunk of time. Alaina is 13 and could complete the study on her own, but I also found some of the information useful. I know when we read an article we sometimes have questions that we want answered and these studies are a great way to follow up an article and answer our questions.